Once in a while, I get personal suggestions for products to review from some of my close friends. 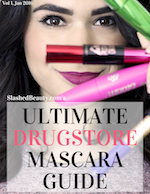 A product that had been brought up a couple times was the Makeup Revolution concealer. 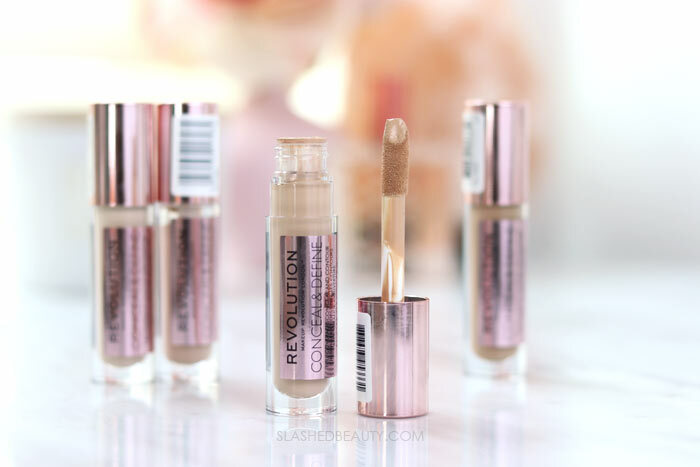 The brand has a few different concealing products, but the one that caught my eye the most was the Makeup Revolution Conceal & Define Full Coverage Concealer. 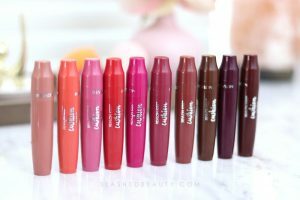 The line is pretty impressive with 24 shades to choose from at only $7. As the name suggests, the formula is supposed to be full coverage, but double duty so that you can also use it to contour with. Now of course, you can do this with any concealer if the shade is right, but this tells me that it should be very blendable so that it becomes seamless with your face makeup. 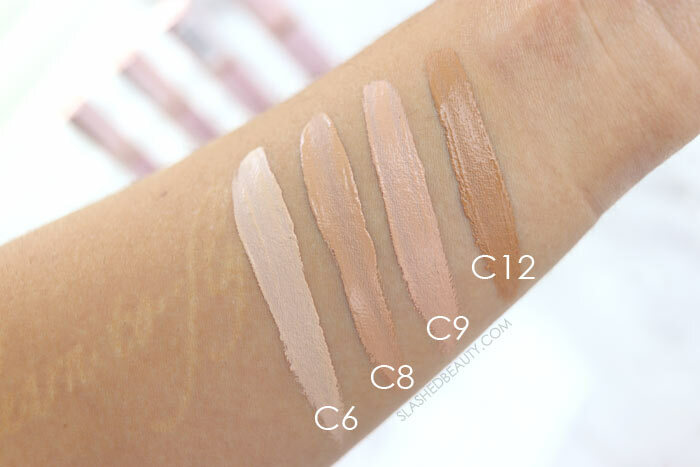 The formula of the Conceal & Define concealer is very creamy with a thick consistency. The tube comes with a doe foot applicator that makes it easy to apply with precision, but I always blend the product out with my fingers. As you blend it out, the concealer dries down to a matte finish… a VERY matte finish. Honestly I think the finish is a little too dry even for my combo skin, especially since I tend to be dry around my breakouts which is what I’d be trying to cover. As for using this concealer like a contour, you’d obviously have to be using it with a foundation similar in finish otherwise it will not look blended. This is probably a good pick if you have oily to normal skin, but the slightest bit of dryness will be accentuated. As far as the coverage goes, it’s good. I’m pretty serious about full coverage face products, since I deal with acne and hyper-pigmentation. I’d say that this concealer is right on the border between medium and full, and definitely buildable. 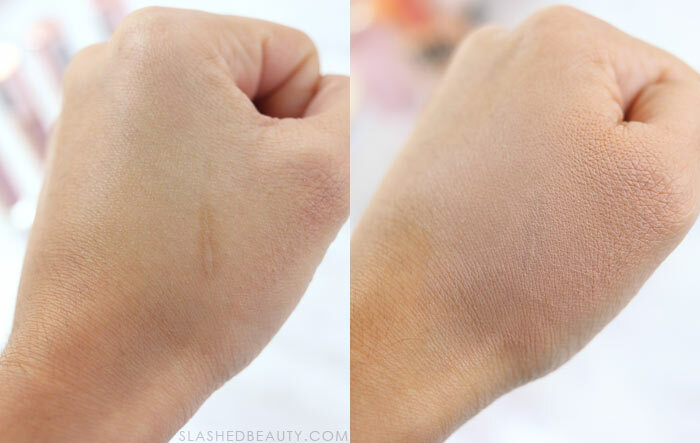 Above is a before and after using the concealer over a scar I have on my hand. It’s only one layer and we got some solid coverage, though you can still sort of see the darker outline of the scar. I feel that it performs the same on my face— anything a little darker than slightly red will need a few layers to really cover. Of course, in conjunction with foundation you’ll be able to cover more thoroughly. So far, my thoughts are a little torn on this concealer which I apologize for, since it probably doesn’t make for the best review. I’m just not a fan of how dry it is, and honestly don’t feel like I can use this as part of my normal routine. I don’t use foundations that are on the same matte level as this concealer, so it just ends up looking obvious that I have a patch of concealer on. Also— there’s really not a lot of product in this tube despite how large it looks. The packaging itself is larger than my favorite full coverage concealer from Physicians Formula, but actually has only a third of the product inside. Overall, I would only give this a shot if you’re looking for a really matte concealer with good coverage. It’s a specific need, but who knows, maybe that’s exactly what you’ve been looking for. 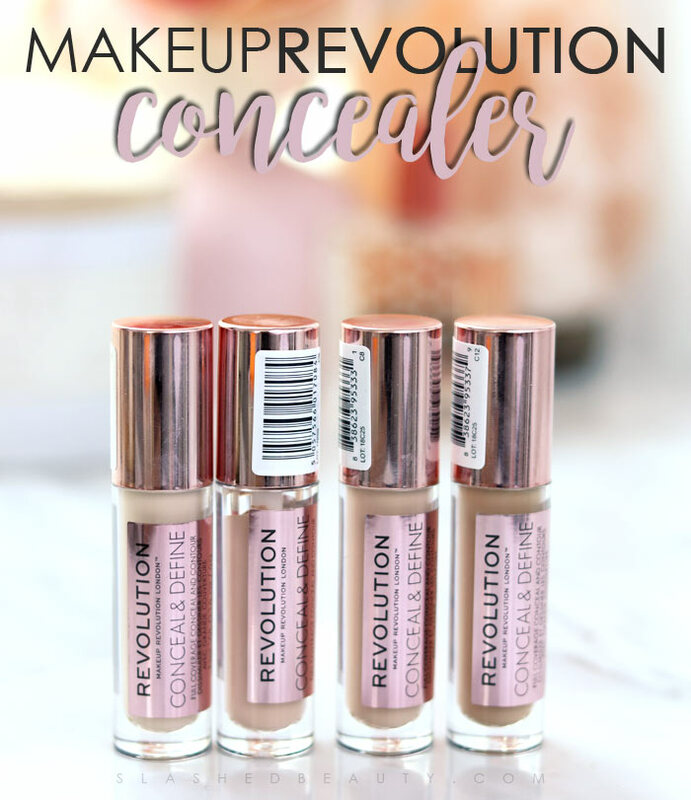 You can find the Makeup Revolution Conceal & Define Concealer at Ulta Beauty for $7. Next articleDoes Hyaluronic Acid Work in Dry Climates?